Bernard E. “Barney” Berlinger was born in Philadelphia, Pennsylvania, on March 13th, 1908. He graduated in 1926 from William Penn Charter School in Germantown, where he served as president of his class. That fall he attended Mercersburg Academy where his exceptional abilities as an athlete came to the forefront at the Amos Alonzo Stagg Interscholastic Track Meet in Chicago. At this meet alone he scored enough points to win the National Team Title. Barney was also a very accomplished football player, starring as a fullback on offense and tackle on defense. 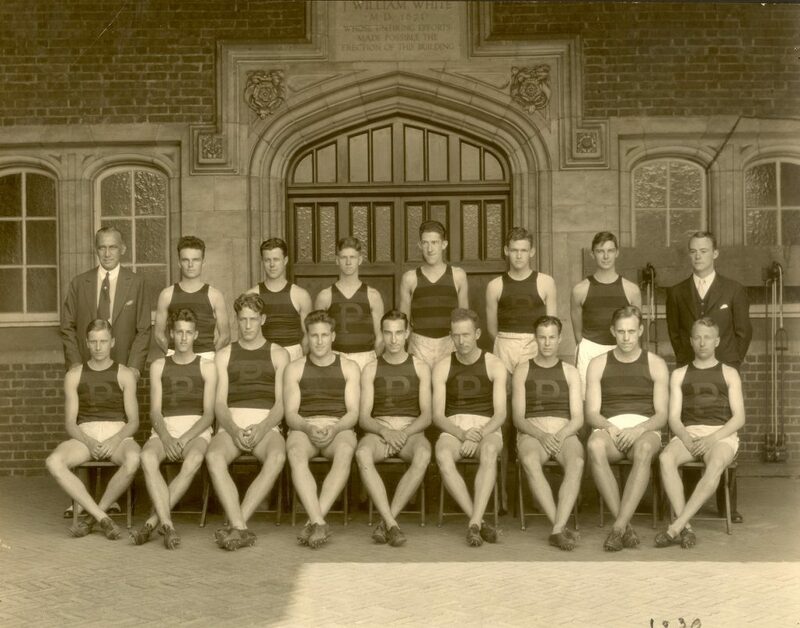 When Berlinger entered the University of Pennsylvania in the fall of 1927, he played varsity football in his freshman year, but then decided to quit all other sports in favor of track, focusing on the decathlon with the goal of winning a gold medal in the Olympics. In 1928 he qualified for the U.S. Olympic team and participated in the Amsterdam Olympics, but placed seventeenth and failed to earn a medal. At the Penn Relays of 1929, 1930, and 1931, Barney set new national records in decathlon and as a result of this feat, the trophy was retired. He was also named the most outstanding amateur athlete in the nation by the National Sports Writers Association in 1931 and won the coveted Sullivan Award that was presented to him by Gifford Pinchot, then the governor of Pennsylvania. Berlinger was on Penn’s varsity track team all four years, serving as its captain in his senior year. He was also a member of the Varsity Club, vice president of the Phi Kappa Beta Junior Society, and treasurer of the Sphinx Senior Honor Society. During his senior year he was elected Spoon Man, the most popular member of his class. 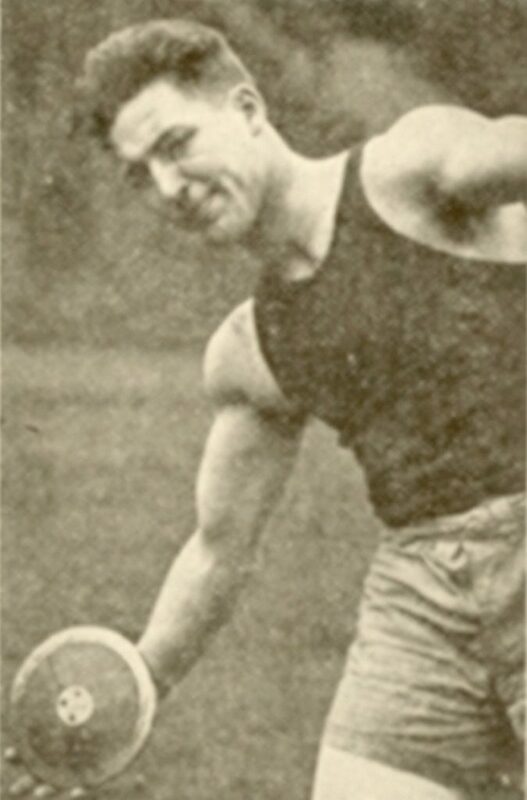 Following Berlinger’s graduation from the Wharton School, the Amateur Athletic Union selected him to represent the United States in a three month Goodwill Tour of South Africa. During the tour he set at least six South African records and was said to be “at the top of this game,” but a pulled muscle prevented his efforts to qualify for the 1932 Olympic games in Los Angeles. In one of his last appearances at the World’s Fair in Chicago in 1933, Barney set a new world’s record for the one day Decathlon and shortly thereafter the event was moved to a two day venue. In 1934, Berlinger began his long career with Quaker City Gear Works in Huntingdon Valley, Pennsylvania, but continued to be involved with athletics for many years. In 1947 he was selected by the US Army as their “Coach of Coaches” and helped to teach a select group of Army officers how to properly coach and train soldiers wanting to compete in track and field athletics during allied occupation. This led to his 1952 appointment by President Eisenhower as a special emissary in his People-to-People Sports Program. Later in life, as his passion turned to hunting and similar sports, he became a member of many hunt and fishing clubs in and around Philadelphia. At the time of his retirement as president of the Quaker City Gear Works Company, Barney Berlinger was a member of the inaugural classes of both the Penn Charter Sports Hall of Fame and the University of Pennsylvania Sports Hall of Fame as well as a member of the Pennsylvania Fish and Game Association and the Shikar Safari Club International. He also served as the first president of the African Safari Club of Philadelphia. Berlinger counted amongst his personal acquaintances Babe Ruth, Douglas MacArthur, Jimmy Stewart, Lou Gehrig, and Jim Thorpe, to whom he had been compared often during the 1930’s. Berlinger died in Doylestown, Pennsylvania, on December 2nd, 2002.